19.03.09	Who Wore It Better? It’s not like Victoria Beckham to be on so many Who Wore It Better? 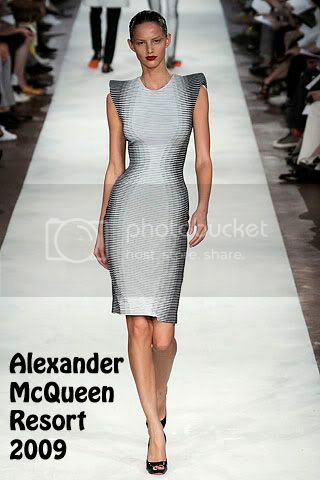 polls, but she did wear this Alexander McQueen striped column dress after Author Sophie Kinsella. Sophie wore the dress to the London premiere of Confessions of a Shopaholic. We all know now much Sophia loves Alexander McQueen, so as much as Victoria looks great in this dress whilst out to dinner in Milan, I have grown to dislike her headbands, so Sophia wins this for me. Posted by Catherine Kallon on March 19, 2009 In: Alexander McQueen, Sophie Kinsella, Victoria Beckham, Who Wore It Better?